Happy St.Patrick's Day! 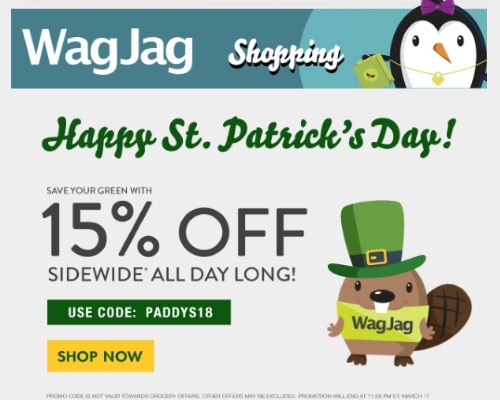 Wagjag is offering 15% off sitewide today to celebrate! Enter the promo code PADDYS18 at checkout to get the discount. Offer is valid today only, Saturday, March 17, 2018.